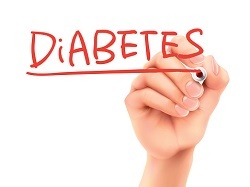 The European Commission has approved an update to the liraglutide (Victoza) EU label that expands the indication to reflect both improving blood sugar and cardiovascular (CV) events as integral parts of type 2 diabetes treatment. Liraglutide is the only GLP-1 that is proven to prevent CV events in people with type 2 diabetes and high CV risk. The updated label includes results from the LEADER trial, which demonstrated that liraglutide statistically significantly reduced the risk of cardiovascular death, non-fatal myocardial infarction (heart attack) or non-fatal stroke by 13% versus placebo, when added to standard of care. The overall risk reduction was derived from a statistically significant 22% reduction in cardiovascular death with liraglutide treatment versus placebo and non-significant reductions in non-fatal myocardial infarction and non-fatal stroke. Liraglutide is a human glucagon-like peptide-1 (GLP-1) analogue with an amino acid sequence 97% similar to endogenous human GLP-1. It was approved in the EU in 2009 and is commercially available in more than 95 countries, treating more than 1 million people with type 2 diabetes globally.